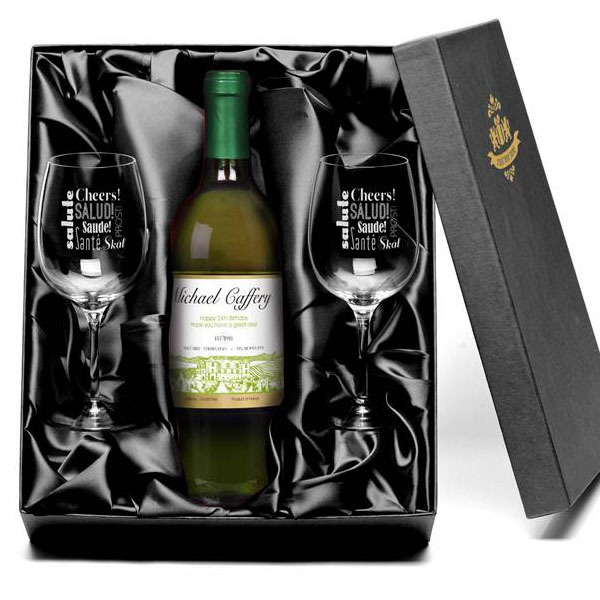 This fantastic wine set includes two personalised wine glasses and a 75 cl bottle of white wine all lovingly presented in a satin lined gift box. 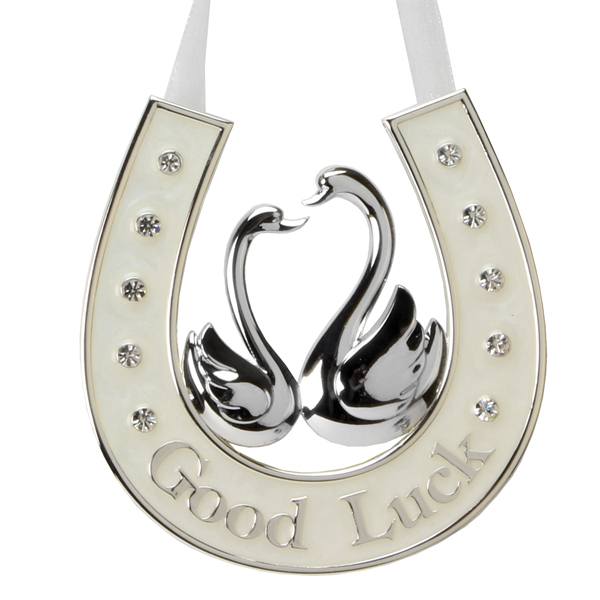 This decorative horse shoe shaped lucky charm is sure to bring someone good luck when they need it most and makes a lovely gift idea for any occasion where they need that extra little touch of luck. The elegantly designed Moya Champagne Flutes from LSA have a solid stem for a unique look. 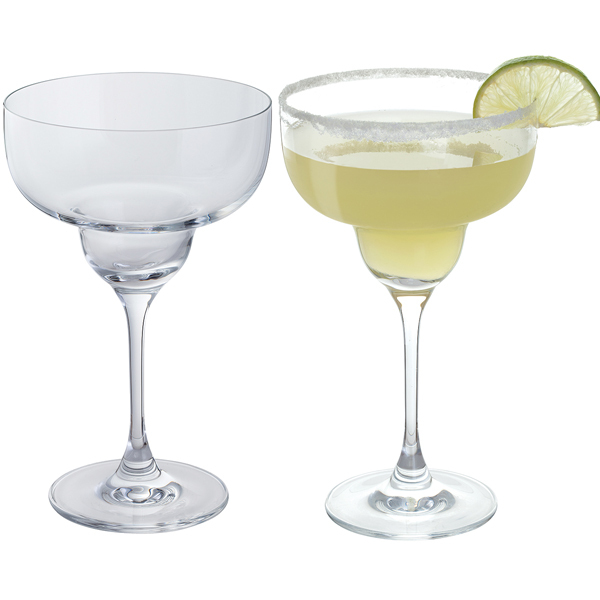 Holding 17cl, these glasses are ideal for raising a toast. Become beautifully organised for your big day, with this gorgeous planner. It\'s your wise and inspiring wedding companion full of good ideas, prompts and tips, and brilliant at looking after all those important details. Female You\'re Priceless Silver Price Tag. What better way to say thank you to the favourite girl in your life. \'You\'re Priceless\' a unique, cool gift card for her with a deeper meaning from Love and Patience. Uniquely packaged in its tri-fold card \'You\'re Priceless\' reveals a simple hallmarked sterling silver blank price tag for her to wear as a symbolic reminder of your love, friendship or simply a thank you. Senders can write their own personal message in the card that is then ready to post to that amazing person in your life (though we would recommend placing in an outer envelope when sending). The classic glass for this great cocktail favourite. Makes an original and practical gift that can also be used for stylish deserts! Wish them a bloomin’ marvellous engagement with this stunning abstract pink design and vibrant display of fresh lisianthus and tea roses. With pre printed engagement greetings alongside your own treasured words, they’ll be blown away! “Happy Engagement” will be printed on the card as well as your personal message. Send love on their engagement with this pretty display of scattered pink blooms, finished with a celebratory pop of vibrant craspedia. Wish them a lifetime of happiness with your kind words printed for FREE. \"On your Engagement\" will be printed on the card as well as your personal message. Our engagement gift suggestions have all been researched and carefully chosen by couples who have recently got engaged, so you can be sure that the gift ideas we present will be things that other engaged couples are likely to really appreciate. Of course, not all men and women have exactly the same tastes, so we asked our GiftGofers to select a variety of gifts of different types and at various prices. If you don't see a present on this page you think your recipients would love to receive as an engagement gift, use our Search option at the top of the page to tell us more about them: their ages, hobbies and interests, and the approximate amount you want to spend, and the Gift Gofers will scamper off to their database and find some more great presents to suggest for you.